Discussion in 'General Discussion archive 2017 (read-only)' started by ExtraordinaryOrdinariness, Jul 31, 2017. It is indeed excellent and crisp. But for me, I will forever hear this song through the aural prism of the original instrumental with Rourke's prominent bass playing, which is outstanding. It's impossible to listen to the sheer force of nature The Smiths were at their peak and treat anything Morrissey has released in the last decade or so with anything but contempt. PS: Life is very long when you are a bouncer. But totally true. I know you and I both hold The Smiths in their pomp as unbeatable. Have to agree apart from Viva Hate. The Smiths were about great storytelling and Viva Hate is still that. Then the man got blinded by the big lights. I have heard this song a thousand times or more, yet this live version sends shivers down my spine. And it is only too easy to remember how it all began, and how exciting it was to be a part of that relatively small bunch of misfits known as Smiths fans back in the mid 80s. Salford, a month or so earlier. Those awful fan filmed gig videos were like gold dust once. One of many that ordered them and sat and listened and watched in awe of it all. It sure filled a void during a time when there wasn't a lot to do compared to now. Reminds you of how much things have changed since then. Marr's guitar is unique, nobody can sound it like Him. It's Maher. Reckon how bout Roger (Jim) McGuinn? That is who John Maher copied. He is not unique. Do you brittish people have any original music you invented yourself without copying American music? think people are looking through smiths tinted glasses here by saying mozzs stuff is crap compared to then,is mars stuff better or joyce or Rourke.they had youth on their side and were hungry for success.this recording is the exact reason why they should never reform because they could never better this. I don't see anyone saying 'Morrissey's stuff is crap'. I love Morrissey as much as anyone, but I don't think anyone can argue that the last 10 years or so have been up to anywhere near the standard of The Smiths. Different league, youth or no youth. anything but contempt,sounds like crap to me.your right, very strong words. anyone knows that, use a cap from Malibu United in the sun . Have to agree with your agreement. i was re-listening to some morrissey tracks from malajusted, you are the quarry and ringleaders of the tormentors... and it's all very inessential. a lot of it is just dirge-like and disposable. bad lyrics to bad muzak. 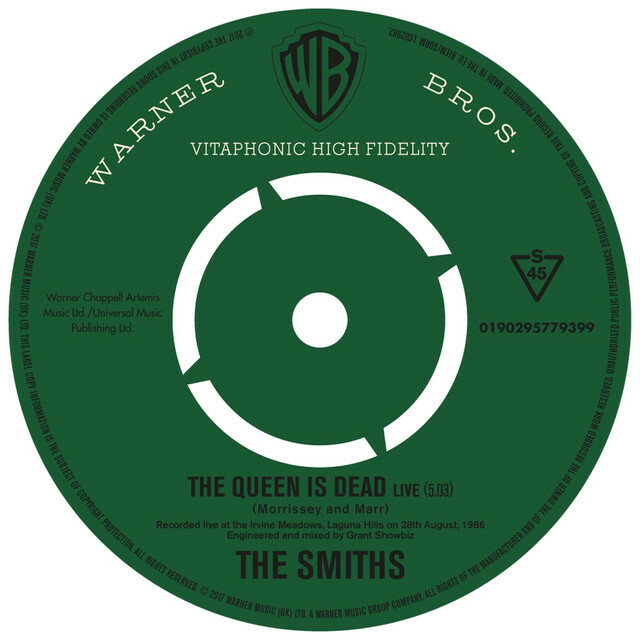 no one will be listening to this crap is 20 years... but they will be listening to the Smiths still... and Viva Hate too I'd wager.